Oval kumquat is the most important among all kumquats. This fruit is grown in all Citrus growing regions of the world but mostly as an ornamental or specimen tree in home and public gardens. For fruits, however, it is cultivated only in China, Japan and a few Asian countries. 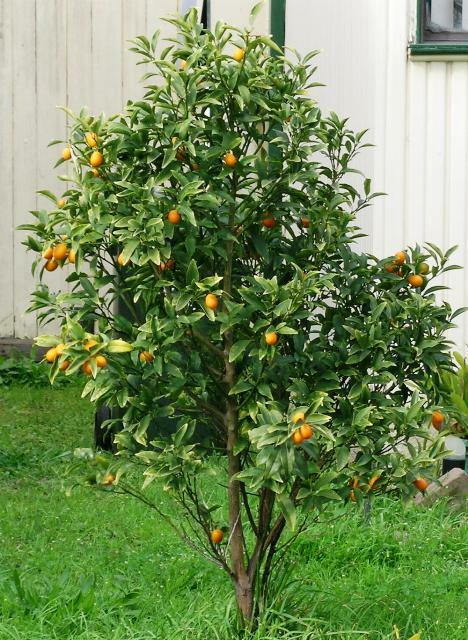 Oval kumquat is a native of South China. Evergreen shrub or small trees, 2-4 m tall, branches angular when young, rounded when old, sometimes with single axillary spines. Leaves simple, alternate, lanceolate, upto 10 cm long, pointed or rounded at the tip, finely toothed from the apex to middle, dark green, densely glandular-dotted, especially on the underside; petioles often narrowly winged. Flowers borne singly or in few-flowered clusters in axils of leaves, hermaphrodite, 5-merous, small, white, sweet scented; stamens 16 or 20, cohering irregularly in bundles; stigma cavernous within because or large deep-seated oil glands. The fruits can be eaten fresh but the whole fruit alongwith the bark has to be eaten. 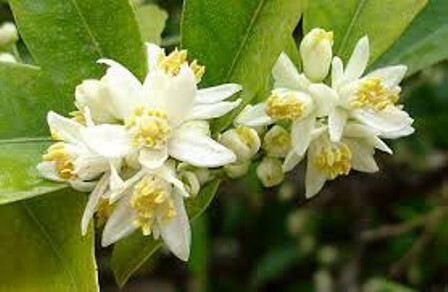 It is in fact the sweet aromatically flavoured rind which forms the principal edible portion. But it tastes better alongwith the sour pulp. The vitamin C and pectin content in fruit is the highest in the inner portion of the peel. The fruits are also made into marmalades and candies. 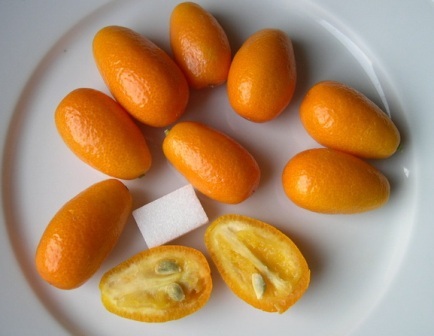 Oval kumquats are not grown commercially for fruits, though the fruits are utilized fresh as well as preserves and candies. These are planted in gardens as ornamental plants and also sometimes on hedges. These need a cool subtropical or warm temperate climate, with 1100-1500 mm rainfall in the growing season and relatively high temperatures (26-37 C) for optimal growth. They do not tolerate drought or flooding. These can be propagated from seed but the preferred method is budding. Propagation by air layering is also possible.